The conference is based at Aberystwyth University and accommodation is in student Halls of Residence. You’ll have a lockable single bedroom (a small number of rooms with twin beds are available), and most rooms are ensuite. 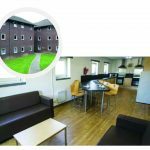 Each accommodation unit has shared kitchen and dining facilities. If your family or group fills the unit, this will be for your exclusive use — otherwise, you’ll share the kitchen and dining area with other guests. There are three types of accommodation, to suit all budgets, with extra discounts for families, young people, and those on a low income. Flats are perfect for those on a budget, and are available from 7 to 10-berth. They offer single rooms (though some 10-berth Flats have one twin), with shared bathrooms, toilets, kitchen and dining area. 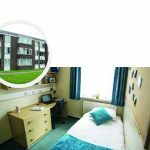 Youth Flats are for those aged 16–22 and offer the same standard of accommodation as Flats. At least one adult (18 or over) must be part of each booking. By booking, you agree to attend the meetings, be considerate to other guests, listen to the Youth Wardens and remain quiet between 11pm and 8am. Also known as ‘Rosser’, these 8-berth units offer an ensuite sink, toilet, and shower. Each kitchen has a sofa, and a dining table or breakfast bar. Newly-built, these generously sized single rooms have a double bed, and an ensuite sink, toilet, and shower. Each kitchen/living area has sofas, a dining table and chairs, television and dishwasher. 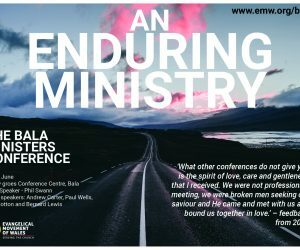 If you can only come to the conference for a few nights, part-week bookings are available in each type of accommodation apart from Youth Flats. The price includes an evening meeting pass, a room for the night, and a day pass for the following day. Bursaries of £40 per adult (£30 for 16–21 year-olds) are available to help those on a low income. See section 10 of the terms and conditions. 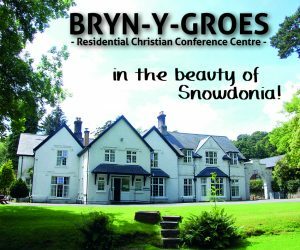 Prices are for self-catering and include accommodation and entrance to all the conference meetings. If you prefer a catered option, you can buy meals from the onsite restaurant (see page 14). Costs are per person, or per family. 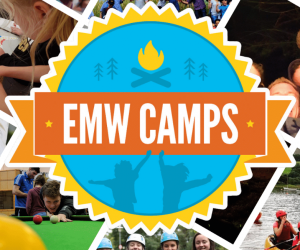 A deposit of £40 per adult/youth is needed at the time of booking, with the balance due by 02 July 2019. Unless otherwise specified, prices are per week. 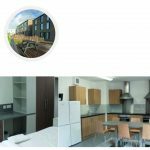 If your group fills the accommodation unit, you will have exclusive use of the kitchen and dining area. 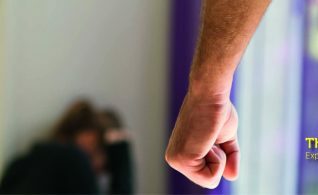 * Children in a family group must be related to, adopted, or looked after by the adults in the group, and must be 16 or under. Any other children will be charged the child rate. Children under five share a room with a family member (you will need to bring a travel cot or bed for them). For more information see here.